I saved the best for last! Bear with me, there are a lot of pictures in this posting, but I was in love with this whole day… So, I couldn’t stop myself! 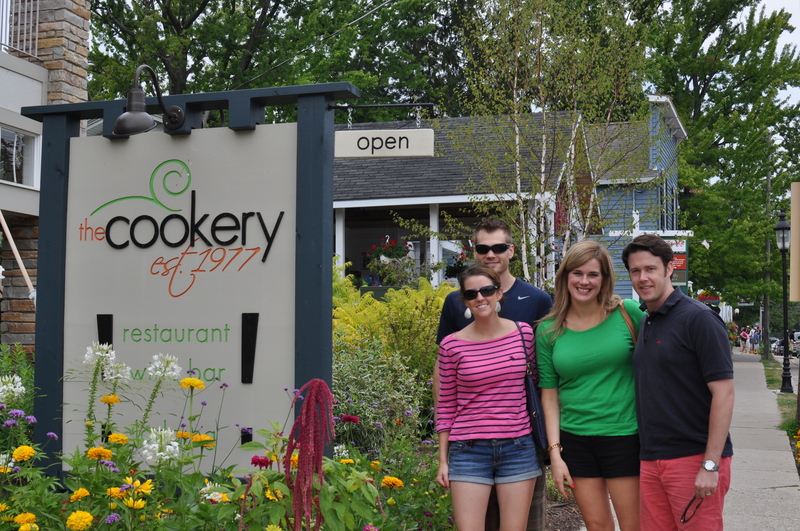 We started out the day at my favorite breakfast spot, The Cookery. It had actually burned down in the five years since we were last there, but it was back and better than ever. More seating, outdoor patios, an endless array of menu goodness, and my favorite, their homemade jam! It was all there! Nothing says summer like strawberry rhubarb jam! Yum. 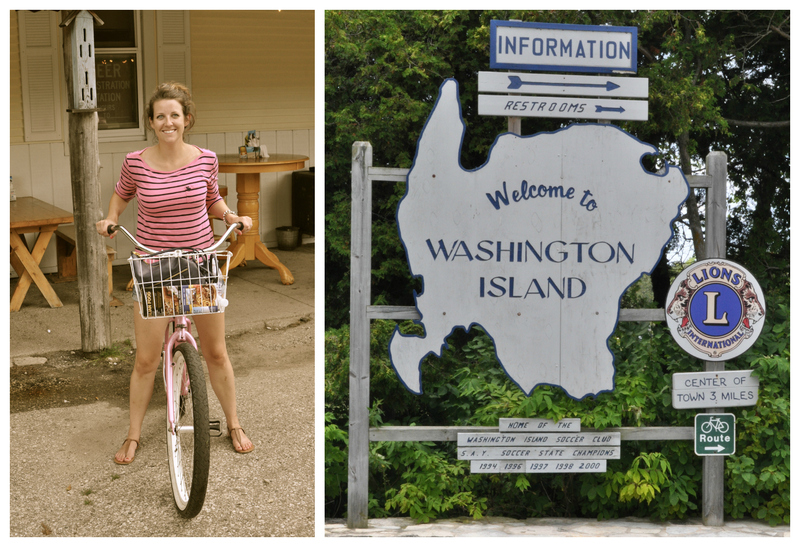 After we filled our tummies it was up the coast we went to Washington Island. 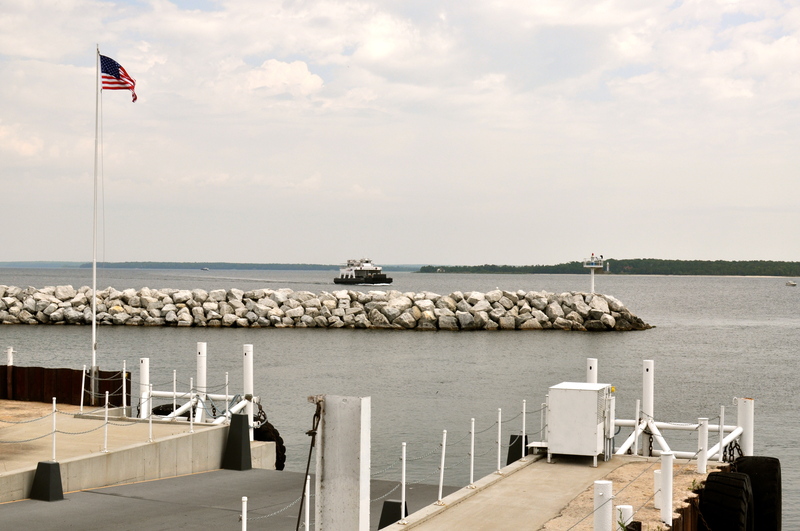 You have to take a ferry across Lake Michigan to get there. Our first stop, bike rental! I felt like a mix of The Sound of Music and Wedding Crashers! It was a beautiful day to ride, but we got a little sweaty! We then headed to Schoolhouse Beach, a fine cove of picturesque water and a great way to cool off after a long (to us) ride. The icy water of Lake Michigan felt wonderful on a hot July day! 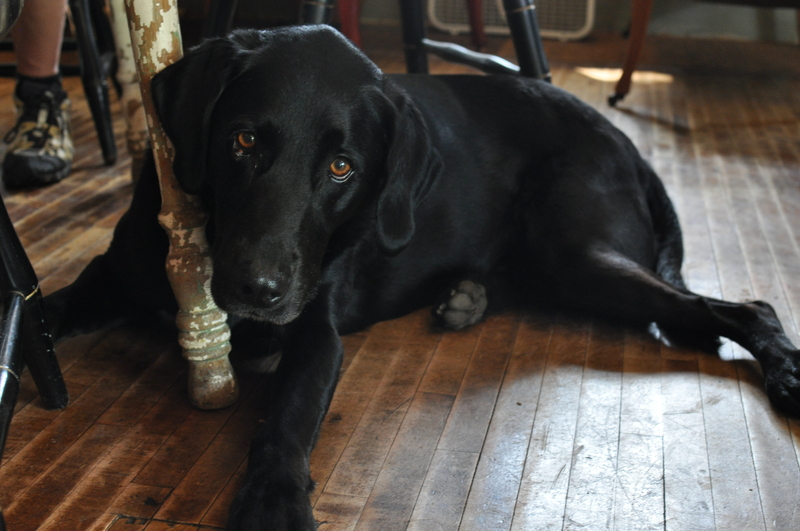 We were off again for lunch at an eclectic restaurant called Fiddler’s Green where Cowboy, a black lab greeted us. 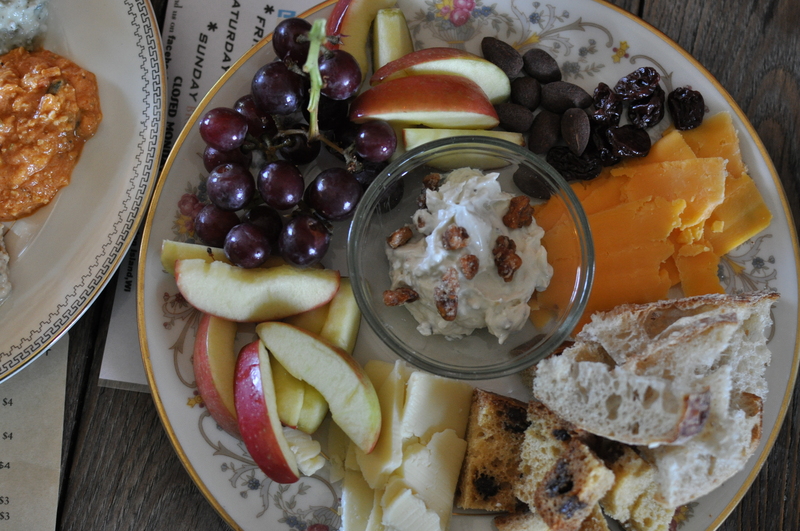 We decided to share a cheese plate (we’re in Wisconsin people!) and Hummus! Here’s a couple pictures of our food and restaurant! So fun! I actually bought a stemless wine glass and it made it all the way back to Dallas unscathed! My only regret: I should have gotten two!! 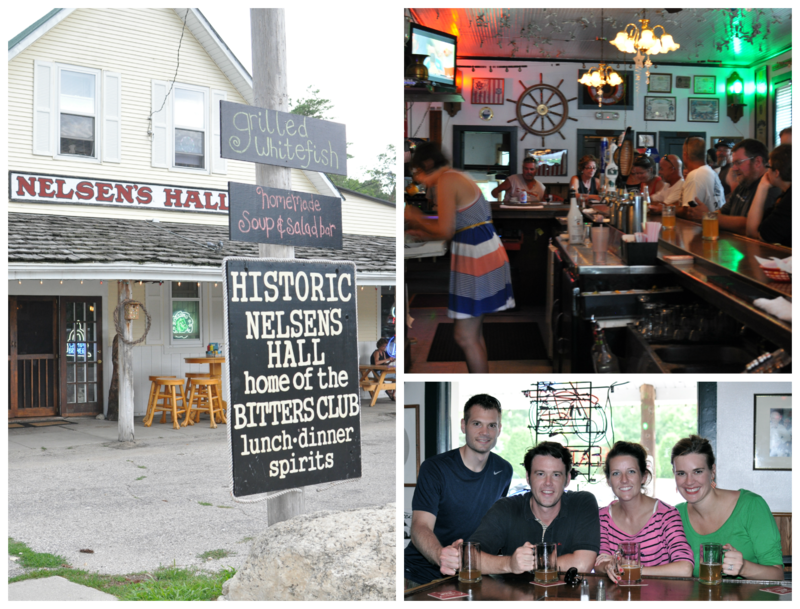 After lunch, we were all fueled up to bike back to the ferry, but first we wanted to stop at Nelsen’s Hall, a historic bar that was able to stay open during prohibition because of a clerical error! Only in Wisconsin! Ha. Nelsen’s Hall also takes part in a “bitters club”. We didn’t participate, but thinking back I wish we would have! 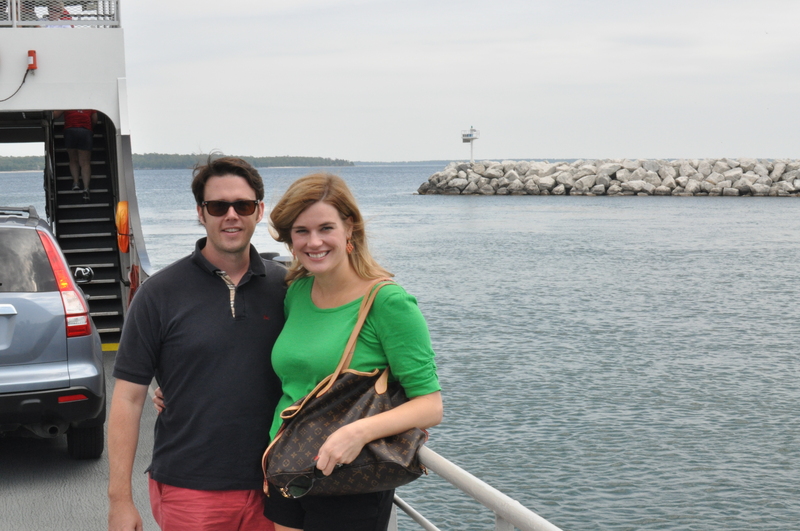 After our drinks, we headed back to the ferry. We got caught in a summer rain which was refreshing but a little wet for the ride home. Which be barely made. 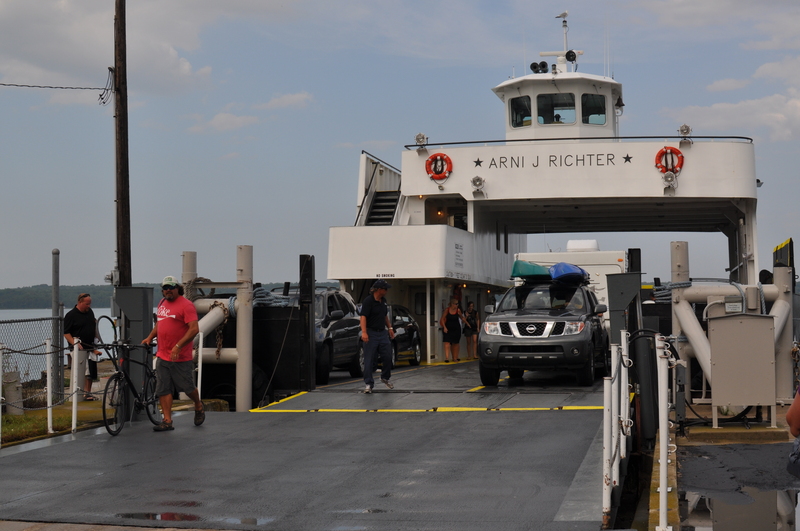 The ferry we got on, was the second-to-last! If we would have missed it, we would have been stuck on the island! 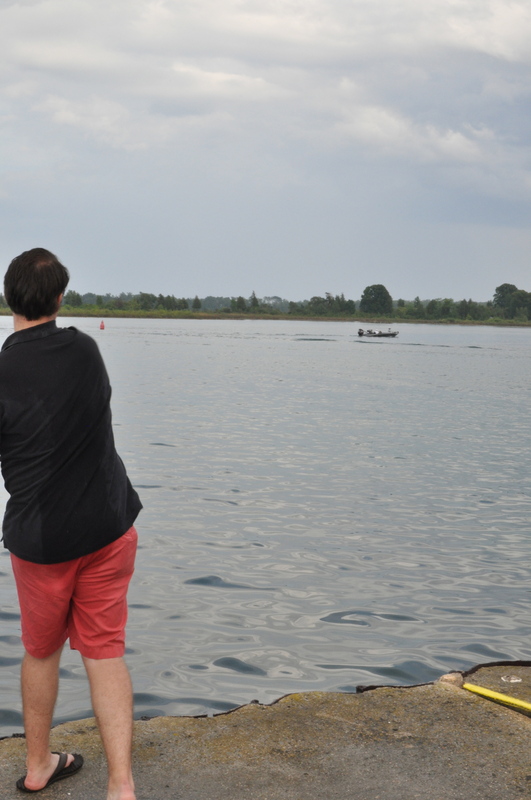 Though, we did have time to skip a couple rocks! 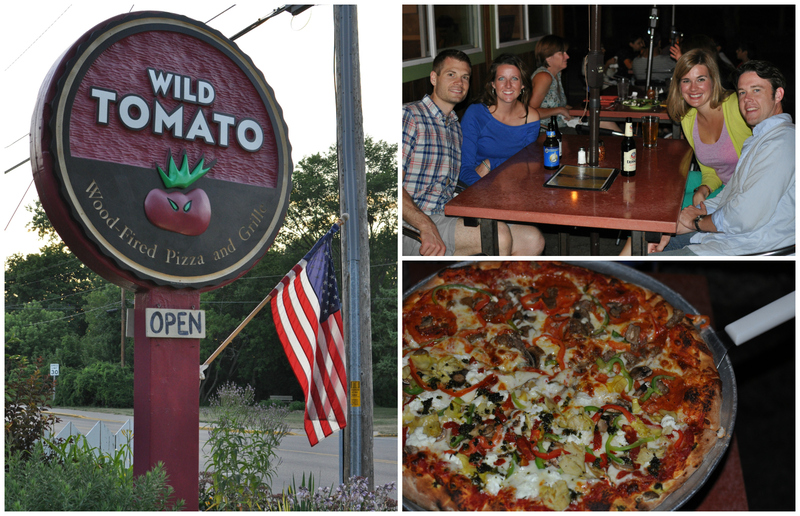 Back in Fish Creek, we decided on a low-key dinner at Wild Tomatoes, a wood-fire pizza joint that did not disappoint! 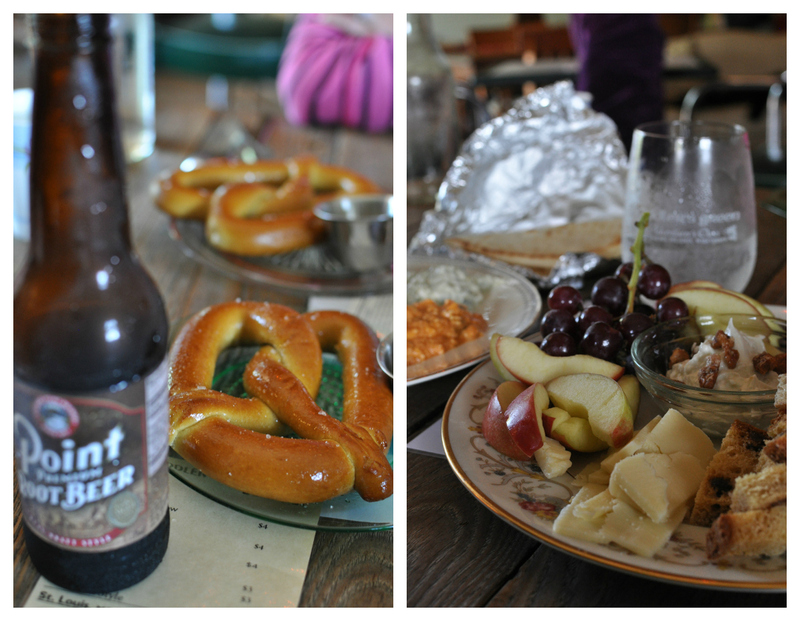 It had locally grown pizza toppings, a friendly staff, and an even better beer list! 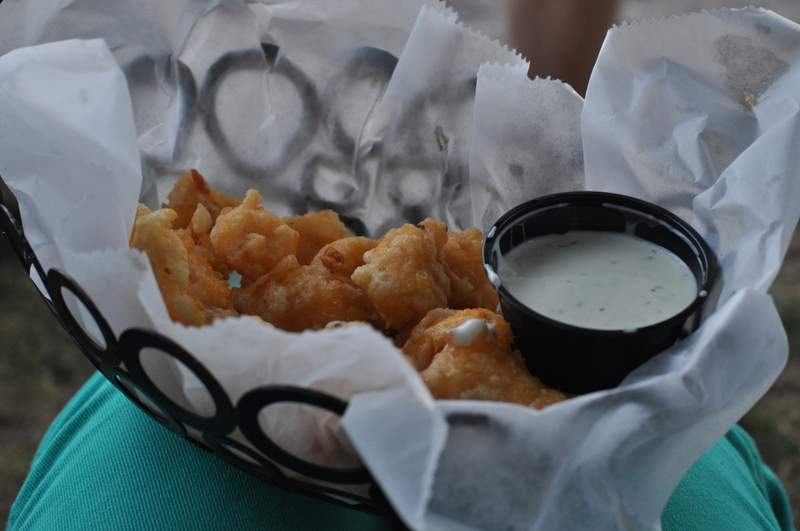 Oh… and cheese curds, get the cheese curds!! Seeing these pictures again makes me want to go back!! 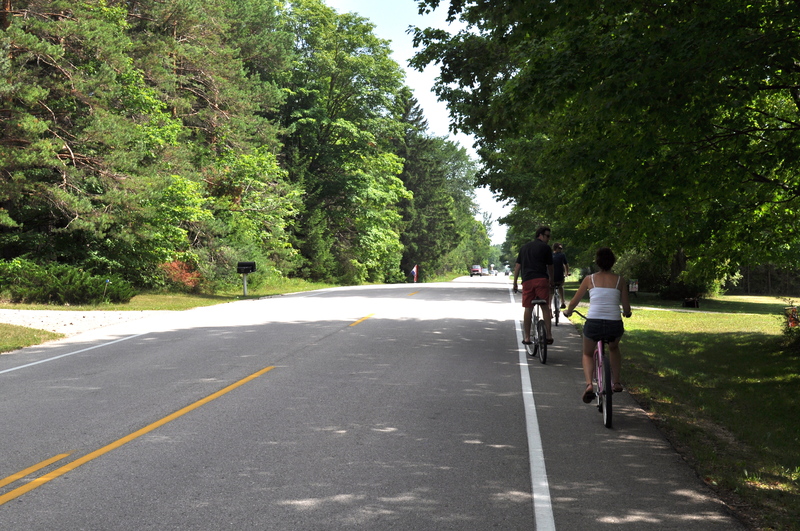 Door County is a fabulous low-key destination for all ages. 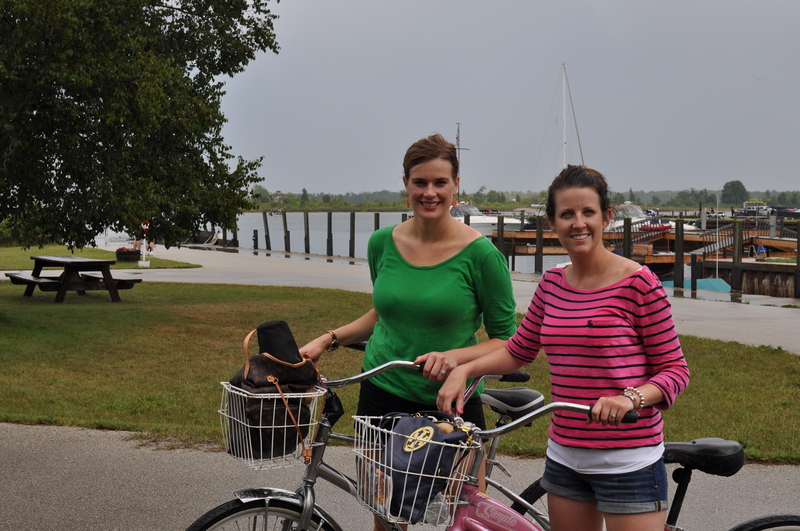 I picture us in a couple of years bringing our wee-ones and experiencing Door County in a whole other way!